Ember Moon was recently interviewed by CBS Sports' In This Corner Podcast to discuss her run as champion and other topics. At NXT TakeOver, Moon unsuccessfully defended her title against Shayna Baszler. However, she was Nia Jax's mystery partner against Alexa Bliss and Mickie James, making her main roster debut on the Raw after WrestleMania. 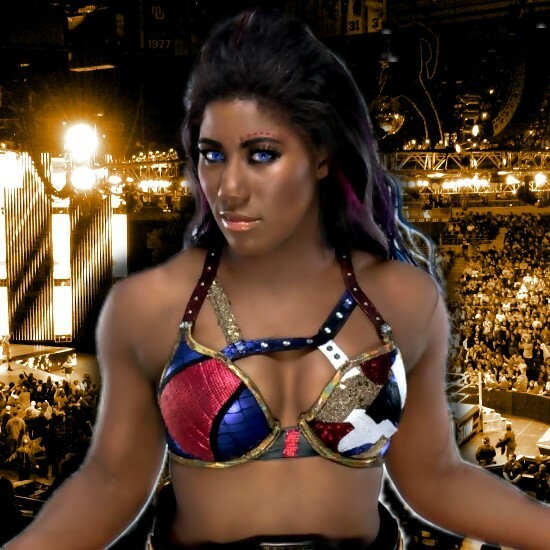 During the first several months of her NXT run, Moon was one of the most dominant names on the roster. Her efforts led to becoming the number one contender for the women's championship, competing against the then-undefeated Asuka at NXT TakeOver: Brooklyn III. Unfortunately for Moon, she was unable to win the match, although she did gain the adulation from the fans. "It's crazy, because I remember taking the loss and just like sitting there and thinking that the world was over, but then, this miraculous moment happened where the WWE Universe embraced me as one of their own," said Moon. "They were like, 'Ok, we love you,' and I got my first standing ovation in WWE and just feeling that energy, there was nothing to be mad about, there was nothing to be sad about. I gave it my all, and the only thing I really wanted to do after that point was give the WWE Universe something in return." Upon her main roster debut, Moon was able to perform her finisher, a jumping top rope stunner called The Eclipse, en route to pinning former Raw and SmackDown Live Women's Champion Alexa Bliss. Moon revealed the origin of the finisher, and the previous name of the move. "So, when I first started doing The Eclipse, formerly known as the O-Face, it was a move created by one of my friends who did a not-PG gimmick or had a non-PG character. And, at that time, I did not know the meaning of said word, I'm not gonna say the meaning of said word, but, just know that it is The Eclipse now. And, it took a long time to master, I'm still working out kinks in it here and there, I would like to think that it's almost perfected. "But yeah, it's crazy how it means so much to me in like a really weird, intimate way as a performer. You know, I always pride myself on doing things that no other woman would do, and now it's like, I'm in WWE, I'm a WWE superstar, and I do things that even men wouldn't do. Like I said, lack of bodily care [when I do dangerous moves]. Not the best thing that I have, but you know, it's a cool trait." Moon added that she had tons of finishers before The Eclipse. She used to do top rope knee stomp like Sasha Banks does, and also used to be known as "the big girl" in Texas. Although she is 5'1", she can deadlift over 400 pounds. Moon stated that she used to have several power moves in her arsenal, but after her friend retired and gave her the move to use, she became more aerial despite being afraid of heights.